The Belgium international grabbed four goals at Goodison Park and now leads the Premier League scoring charts ahead of Alexis Sanchez & Diego Costa. 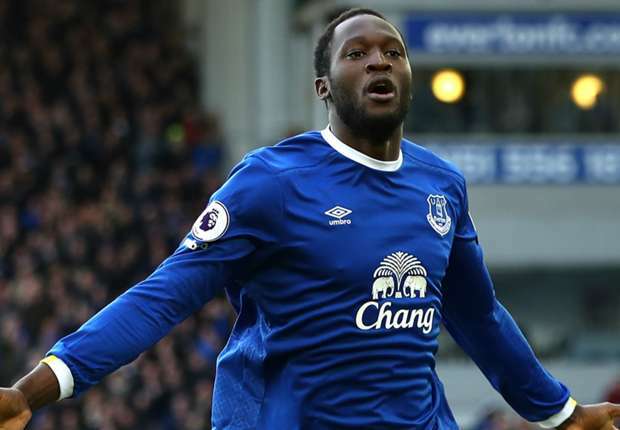 Romelu Lukaku has scored the 300th hat-trick in Premier League history in Everton's match against Bournemouth. Moments after the Belgian had secured his treble, he added a fourth goal to make it 5-2 to the rampant Toffees at Goodison Park. The game also marks the first time Lukaku has scored four in a game in his professional career. Everton eventually ran out 6-3 winners in a frantic game at Goodison Park with James McCarthy and Ross Barkley also on target for the Toffees. The win moves Ronald Koeman's men to within just two points of Manchester United in sixth. Lukaku, meanwhile, now tops the Premier League top scorer charts with 16 goals ahead of Alexis Sanchez and Diego Costa with 15. 0 Response to "LUKAKU MAKES PREMIER LEAGUE HISTORY WITH HAT-TRICK"